Adewole listed the benefitting states as Ogun, Jigawa, Gombe and Katsina. The minister was represented by the Medical Director, Federal Medical Centre, Birnin Kudu, Jigawa, Prof. Idris Suleiman. “It gives me great pleasure to be present at this important ceremony to flag off the replacement campaign for the distribution of LLINs in Jigawa. “This year alone, approximately 14.4 million LLINs would be distributed in four states with support from GFATM. He disclosed that the result showed that 69 per cent of households in Nigeria had at least one insecticidal net. “The result of the survey further revealed that 95 per cent of households in Jigawa had at least one insecticidal net. “Similarly, 55.7 per cent of households had at least one net for every two persons. 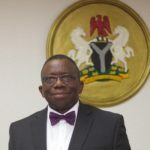 “It is my joy therefore that with the distribution of over 3.7 million insecticidal nets, net coverage in the state will increase tremendously,’’ the minister added. The deputy governor pledged the state government support towards the success of the programme aimed at malaria prevention. Hassan called on the beneficiaries to make use of the nets as a preventive measure against malaria.